Articles by: "Jason Kint, CEO – DCN"
After last week’s uproar over Mark Zuckerberg’s comments on censorship, Axios asked experts what they would do to decrease the fake news on Facebook. Clearly, this is not a simple problem to address but we must. In fact, because Facebook hasn’t taken proper action over the past two years, governments all over the world have stepped in to take steps to address the problem of misinformation. As the trade organization representing media brands that seek long-term consumer trust through the creation of high quality news, information, and entertainment, we take the problem very seriously. In 2016, we wrote an unanswered letter to the CEOs of Facebook and Google – Mark Zuckerberg and Sundar Pichai – to provide our perspective on the dangerous proliferation of “fake news” throughout the digital ecosystem. In the letter we asked Facebook to aggressively harness their brilliant minds and massive resources to clean up the garbage that was flowing, with little friction, through their platform. We also cautioned against acting as a censor. Given the escalation of concerns and the fact that the 2018 midterm elections are less than 100 days away, it’s critical that Facebook take more significant and concrete actions to help ensure their platform isn’t used against our democracy again. In the spirit of transparency, here are a few things we mentioned to Axios that Facebook could do today. Eliminate the viral and monetization benefits for known fake news peddlers. Take Infowars as an obvious example. (1) At this point, Infowars should only reach users who explicitly follow its account. We’re not asking for the account to be banned entirely, although the arguments to do so are reasonable at this point. (2) Infowars shouldn’t be able to buy advertising with creative containing links to Infowars content and (3) user activity (likes/clicks) on Infowars content should not enhance its presence in the feeds of users who don’t follow it. Essentially, their content shouldn’t be exposed to users unless they explicitly ask for it. It’s why on Tuesday I asked what percentage of the views of a grotesque Infowars clip were viewed by Infowars followers. The answer could be very revealing. Publish a clear escalation policy (as YouTube does) which would suspend and permanently ban accounts which repeatedly violate their hate speech and harassment rules. Although YouTube’s escalation seems to have loopholes and oddities, as proven yesterday, it’s at least transparent and up for scrutiny by the public. Elevate the brand presence around content. The brand is a proxy for trust and Facebook (and Google) have long minimized the brand in their experiences. This is important for those who have built up trust through their reputation but it’s also important to newer publishers who want to build their brands. If you’re reading an Axios story on Facebook in your feed, you should know the source. Likewise, if you’re reading a Russia Today story, you should know the source. Develop a transparent ranking system by domain/brand. This is not a novel approach: Google does it. Email services do it. If Infowars wants to keep publishing garbage, then let’s see their domain score fall off a cliff. The score has to mean something. The fact is that most respectable news publishers, regardless of subject matter or leanings, would score well and not be impacted. However, the trash would get taken out. Hire more human moderators. Algorithms are amazing but personal responsibility should involve people. The company needs to take ownership over its “news feed” or stop calling it a “news feed.” We also need transparency on where these moderators are being hired. As platforms have challenged the economics of local news, we’ve also lost local accountability to the public. Moderators need the proper context for the areas, countries and cultures they’re serving. Engage with member associations and non-profits to get advice on codes of conduct that responsible news organizations follow. Facebook had a significant misstep here when they rolled out their political advertising labels and archive. They dangerously conflated boosted news coverage about political issues with advertising about political issues. Facebook chose to ignore counsel from publishers and shut off communication with member associations despite more than 20,000 news publishers expressing concern to its CEO and COO. A couple of executives at what is arguably the most impactful news distributor on the planet are making business decisions that have a massive impact on the political dialogue in our democracy. They should thoughtfully listen to concerns, advice, and legal inquiry in order to become a responsible member of the digital ecosystem from which they reap great profit. The problem of misinformation is not small, it is not easy, but it’s a problem that we all have a stake in solving. As the Facebook scandal continues to snowball, COO Sheryl Sandberg and CEO Mark Zuckerberg have finally admitted publicly they have a lot of work to do to restore trust in, and combat abuse of, their platform. Those are facts supported by independent research from Edelman. Trust is a result of delivering on expectations, whether the customer is another business or the public. Facebook and Google, more than any other two companies, have controlled and influenced the trust issues now being surfaced across our industry which impact the publishers and advertisers who choose to associate with their platforms. In 2014, I wrote about Facebook’s questionable practices in The Wall Street Journal, focusing on Facebook’s mining of user’s browsing history. 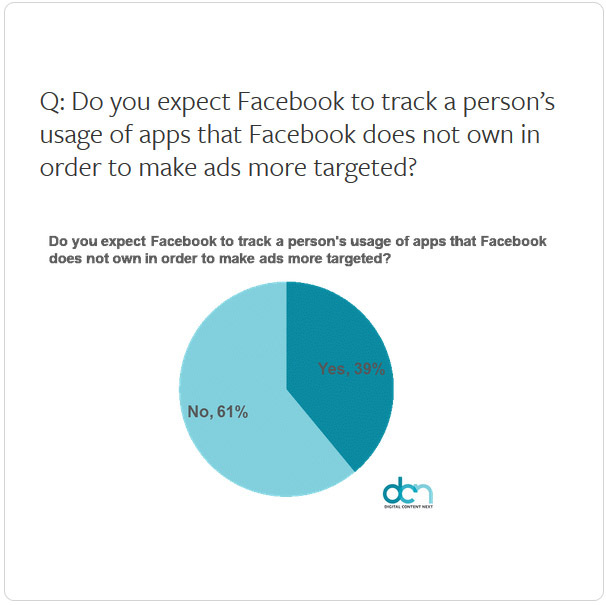 We argued that people do not expect Facebook to track them across the web and within apps in order to target advertising to them. Unfortunately, the backlash was slow to build (except for those most intimately involved in consumer privacy and regulation) and Facebook continued its practices. The 2016 election and the Cambridge Analytica scandal dramatically changed that. Although Facebook recently added the ability for users to opt out (via a deeply buried setting) and announced new “controls” and “settings” are coming, the fact that it takes an avalanche of bad press and a #DeleteFacebook movement to motivate them to act in their consumers’ best interests clearly shows their products are designed to maximize profit rather than behave according to consumer expectations. 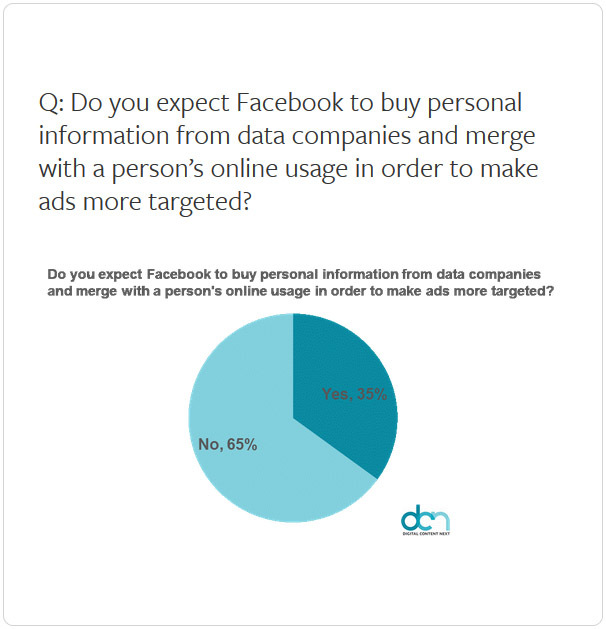 At Digital Content Next, we wanted to get a clearer picture of how consumer expectation does (or does not) align with Facebook’s data practices. 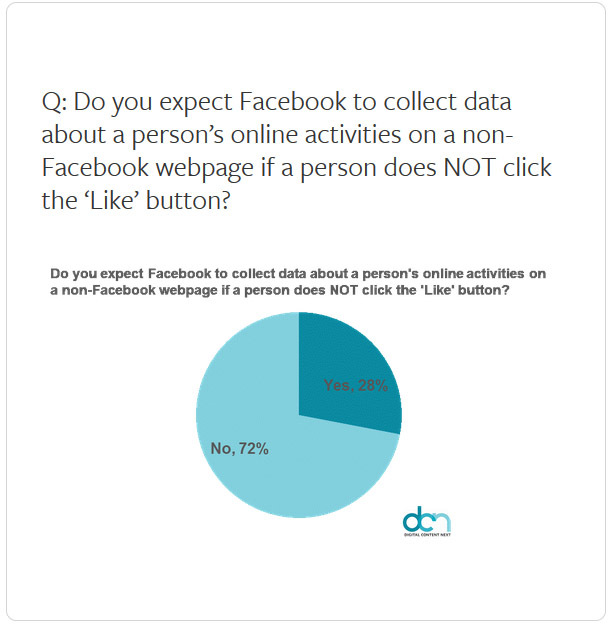 So last week — at a time when consumer expectations of Facebook are likely at an all-time low — DCN surveyed a nationally representative sample to find out just exactly what people expect from Facebook.1 Here’s how they responded. There were only two ways in which a majority of respondents felt that Facebook was acting according to their expectations. There were five areas where respondents answered that Facebook was acting outside of their expectations. Importantly, these are the issues which drive down consumer trust, and they mostly involve activities where Facebook is taking data from publishers. These activities clearly show how Facebook’s financial gain comes at the expense of trust and profit for news and entertainment companies. (Note: Facebook announced last week it would abandon this practice). 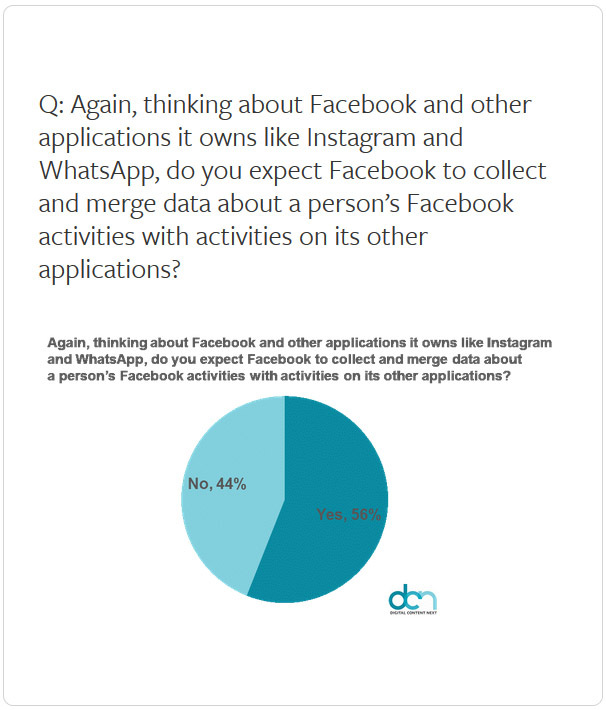 In summary, most users expect Facebook to be collecting some data about them in exchange for use of its “free service.” For example, most users probably assume that data is collected about things that they choose to “like,” or from information they enter directly into the Facebook app as part of using it. 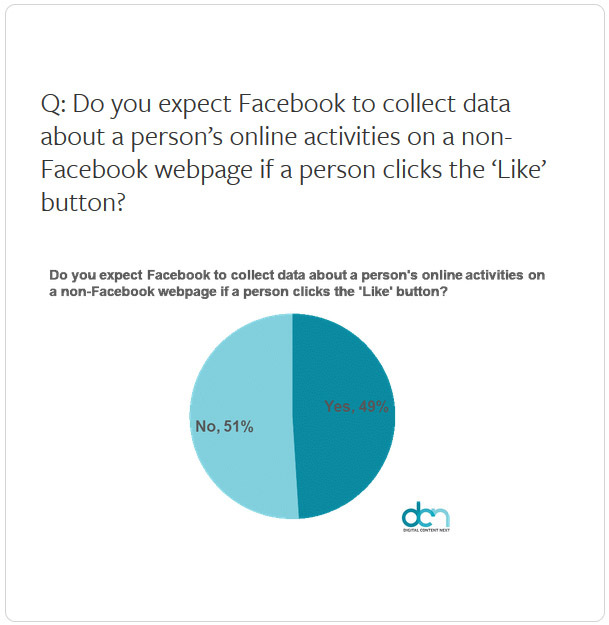 However, when asked about some common Facebook tracking activities across the web on other properties, the survey results show that most people do not approve. These activities — and your data — have generated extraordinary wealth for Facebook and the limited number of executives who control the company. Your data is delivering more than $20 billion per year in profits at 50 percent margins. Bottom line: Does Facebook have the ability and the desire to adjust its business model to better align with consumer expectations and attempt to rebuild trust? ORC International Online CARAVAN®, 1,000 Adults 18+, March 29–April 1, 2018. 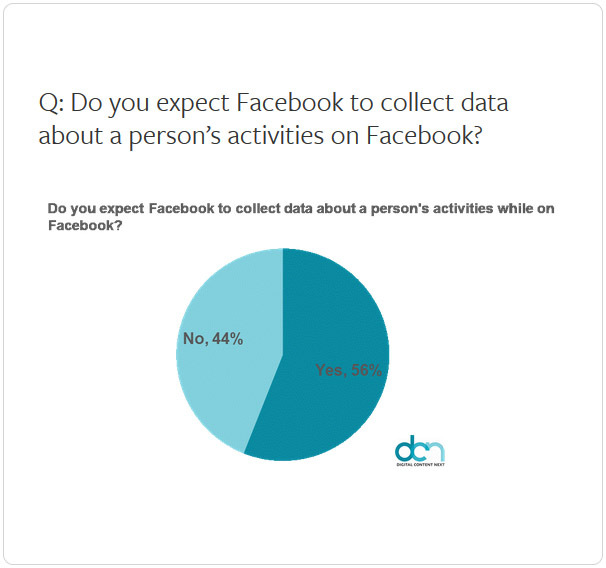 85 percent of sample replied yes to having a Facebook account. Reprinted with permission from Nieman Lab.